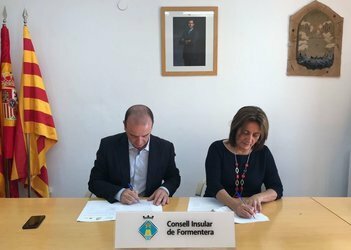 In a bid to foster fitness activities in 2017, the Formentera Council has struck a deal with the regional government's department of culture, participation and sport by which a fitness foundation within the department, Fundació per a l'Esport Balear, will hand over €23,000 for sport-related activities. -Back high-level sportspeople with noted national and international wins, such as medals at championships in Spain and participation in European and international fixtures or the Olympic Games. -Partner with sport meets (competitions, seminars, training, etc.) that promote Formentera's image as a place for sport. -Purchase sports equipment for the training and pre-technical programmes coordinated by the Council. -Provide Fundació per a l'Esport Balear with proof of payment for all related expenditures as well as a brief summary of related activity to December 15, 2017. A special commission has been created to oversee the agreement, assess (and address any issues posed by) its application and reconcile any related differences. It will be formed by two individuals: one representative of the Council and another from the Fundació. Fundació per a l'Esport Balear has also pledged to enlist a technically-trained staff to coordinate the agreement and provide necessary technical support.